The experience of having my tyres fitted at home was a first , and it is something I would do again in the future . The Technician was thorough and the whole job took about an hour to fit 4 new tyres including jacking up the car, cleaning the rims for a better seal refit of the the new tyres and balancing and re installing of the wheels . Staff are friendly, helpful and did their best to be efficient. Overall garage image is clean and well organised. Prompt efficient service and value. Had m.o.t ,it was done on time and staff were very good. Very honest and down to earth mechanics and very well priced. Very helpful guy who repaired my tyre promtly, preventing me from having to buy a new one. Superb service provided by the team. Made welcome as I arrived and at ease. Staff were really helpful. Courteous, efficient and reasonable pricing. Very good prices and good service. Fast efficient service and very competitive price. They were helpful and professional. The very helpful attitude of the staff. Quick diagnosis of problem, quick and efficient service. They were quick and efficient and the tyres were in stock. Friendly, professional and speedy MOT service. Great. Friendly helpful staff, knowledgeable on product/s. Good staff wanting to help and give advice in a fair way. Especially the Aylesbury branch. However price was not always as good as Tyre Shopper online. Because that tips me into an advocate on your NPS scale, doesn't it ;-) Seriously though, good service today, decent surroundings too. Ease of booking on the internet at a time convenient to me. Excellent value. The wonderful manner and professionalism of Mr Daryl Kitchen and his team at the Aylesbury Branch! 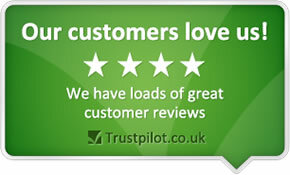 I have used National tyres for a long time now, ever since discovering the benefits of the tyre shopper website. Being a driving instructor I use tyres up more quickly than other people. On this occasion, whilst I am happy with the discounted prices charged for my tyres and subsequent services, I am not happy with the fact that, as trainees were being used on the day of my visit, once my tyres were fitted and tracking carried out, on my next lesson both myself and my pupil identified a metallic rattle coming from the front of the car. I was able to return to the branch and it was discovered that one of my track rod end bolts had not been secured properly. It was then that I was informed that a trainee had done the work on my car, so may I suggest that an experienced member of staff at least check over the quality of the job done to avoid any future embarrassment or even subsequent malfunction? The next day I was making motorway journeys totalling 350 miles so it was imperative that the job was done correctly. The customer service was very good in that I could bring my car straight to the garage, was seen within minutes, offered advice and a price with no pressured 'sell'. My car was worked on immediately and returned within 2.5 hours. friendly & helpful staff, (Darrell Kitchen) I dropped car into local branch (Aylesbury) after being let down by another dealer, parts needed to be ordered and fitted this was done in about two hours. (while I did my shopping!) overall a good experience. 1. Price are good and offers do wonders when you are dealing with a limited budget 2. services are fast done. Price and service are both equally important factors when it comes to purchasing commodity items such as tyres. The Aylesbury branch succeeded on both counts, such I have no hesitation in returning, as well as commending others to check them out. The prices at National Tyres are much cheaper than all the competitors I have tried & the staff are friendly & seem determined to do a good a job. I recently visited the Aylesbury branch & had shock absorbers fitted to the rear of my vehicle & the service was quick & efficient. I was advised of a couple of tyres which would need replacing soon but there was no hard sell or a list of made up faults which would no doubt have occured had I visited a well known rival. Overall a big thumbs up from me & I shall have no hesitation in recommending these guys to friends & family.I would be grateful if you could pass on my comments to the branch. Excellent service and competitive prices. Tyres in stock and fitted next day in half an hour.